The full-color, eight-page comic, which ran in the debut issue of a serial anthology called Impact in 1955, detailed an account of an unnamed Holocaust survivor who, by chance, recognizes and confronts a Nazi death camp officer, Carl Reissman, on a subway train ten years after the war. Scripted by writer Al Feldstein, edited/co-plotted by EC publisher William Gaines, and dynamically visualized by artist Bernie Krigstein, “Master Race” is revered as a classic of the form, owing in no small part to the stark imagery that Krigstein drafted (the quality of drawing typically exceeds that of EC’s writing, and the latter was often bolstered by the former, as Fantagraphics’ Gary Groth asserts). In its assembly of uncompromising composite scenes, cinematic-style low-angle framing, and unconventional sequencing, “Master Race” is striking in its clarity and distinctly forward-looking approach. The original pre-color inked pages for “Master Race” went to auction late last year. This stage reveals strips of pasted-in, very unadorned and mechanical-looking captions and word balloon text—by way of a Leroy lettering set—atop Krigstein’s crisp linework. Witness his chilling expository depictions of real-life genocidal horrors and the architectural splendor of his immaculately drafted subway platform—a sterile, barren setting for the comic’s final act, which sees Reissman plummet down onto the tracks and in the path of an oncoming train. It’s an act of retribution for the abominations over which Reissman presided, but up until the last panels of the second to last page, we’re led to believe he’s a former prisoner, not a commandant. The lot of 64-year-old pages fetched a considerable $600,000 in November. Home to MAD magazine as well as comics anthologies Tales from the Crypt and The Vault of Horror, Entertaining Comics’ gory postwar crime and horror titles at a time were deemed so irredeemable by scores of religious zealots and a child psychologist that a full-fledged censorship campaign was born. As I wrote at Hyperallergic in 2017, the backlash earned EC boss William Gaines a seat before the Senate Subcommittee on Juvenile Delinquency in 1954 and crippled the comics industry. Before the decision was made to include it in Impact, “Master Race” was initially slated to appear in Crime SuspenStories, one of the titles that EC killed as a result of the controversy over the violent content they were producing. But censorship isn’t the main event in EC Comics: Race, Shock, & Social Protest—Whitted is instead concerned with a lesser-emphasized facet of the otherwise exhaustively chronicled history of the downtown New York City publisher. 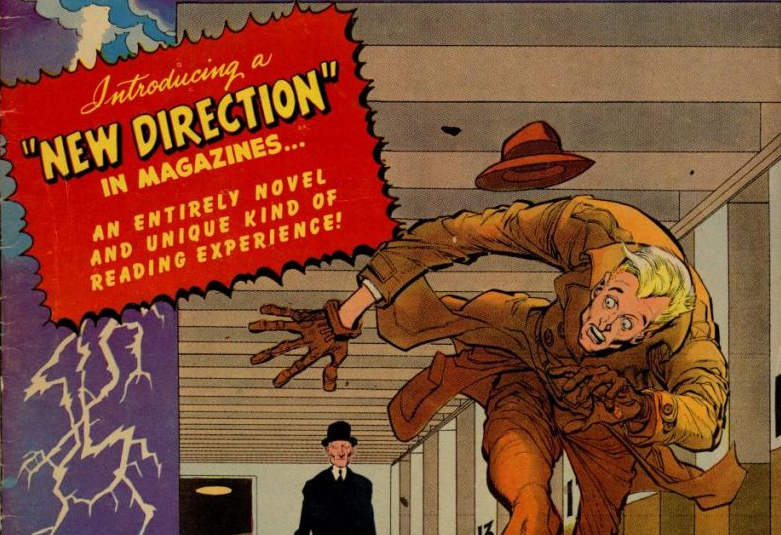 Within the pulpy pages of Shock SuspenStories and Weird Fantasy more than six decades ago, the so-called “preachies”—as coined by Gaines—were provocative comics narratives underpinned by healthy progressive messaging. They addressed contemporary political and social issues, such as religious prejudice, racism, and more. 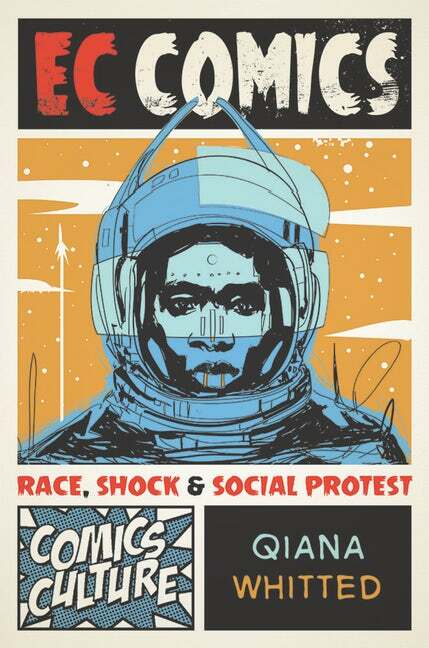 EC Comics: Race, Shock, & Social Protest is available now from Rutgers University Press.